Being high up on the slopes of a mountain has many advantages but the one main problem is working out the best way to get there. Until now we have relied upon a dirt road. That too quickly for our liking turned into a bumpy road. 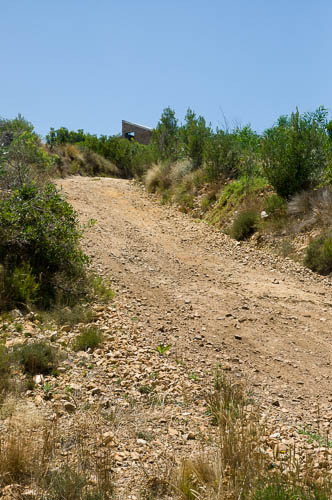 Along with the steepness of the ascent, it became a challenge for all but the toughest vehicles. Well those days are behind us, with the help of Burmar Civils we have installed a new any car friendly track. After much thought, we have built our new road using a twin track of concrete grass blocks. While tarmac was an option, and may well have produced the smoothest ride, it does not reflect the feel that we wanted to give visitors as they enter the reserve. We are a place where one leaves the city behind and tarmac belongs to an urban scene. Furthermore, by using these grass blocks, which have soil in the gaps, the natural vegetation will be able to grow back amongst them. We hope that in time, the road will look almost a part of the landscape. 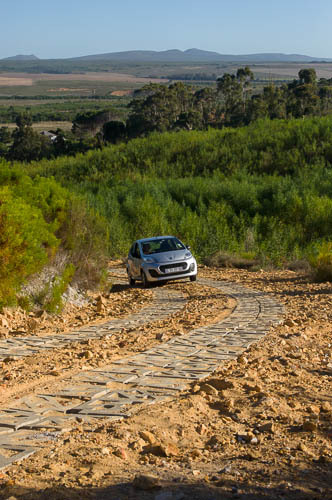 The twin tracks are raised sufficiently above the central gravel for even drivers of small cars to feel secure that their undercarriage won't be damaged. 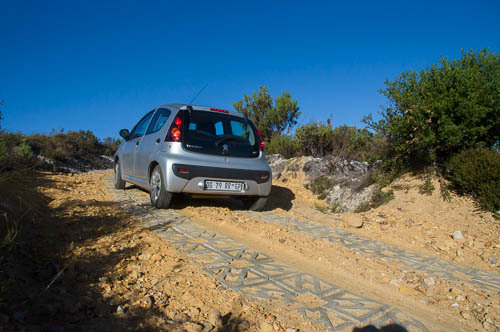 Indeed we tested it out on a Peugeot 107, which sailed up without straining itself. 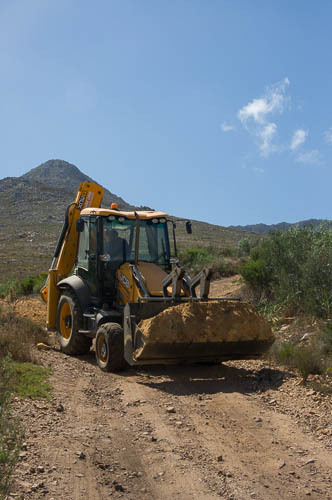 One still has to be willing to travel along the municipal dirt road from the R326, but we are now confident that any car should be able to access our reserve and self-catering cottages. 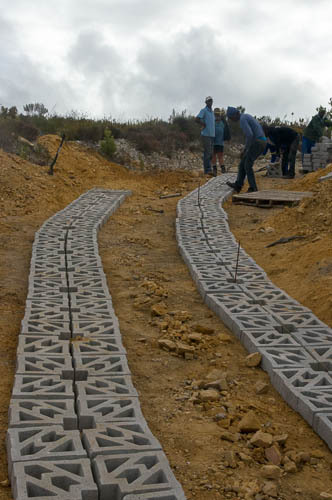 access, Burmar Civils, concrete grass blocks, road, self-catering cottages. Bookmark.